Ake Ake Kia Kaha E! Forever Brave! was written to remember and honour the soldiers who fought in the B Company 28 (Maori) Battalion in World War Two. Many were wounded or killed on foreign shores fighting for a better tomorrow. And those who returned home to their loved ones were forever changed by their experiences. At the beginning of Ake Ake Kia Kaha E! Forever Brave! author Wira Gardiner, himself a professional soldier, provides some historical background. The New Zealand Wars and subsequent Maori land confiscation had blighted Maori society. Yet only four decades after the wars ended, some of the tribes who had been most harshly treated encouraged their men to fight for the Crown in World War One. 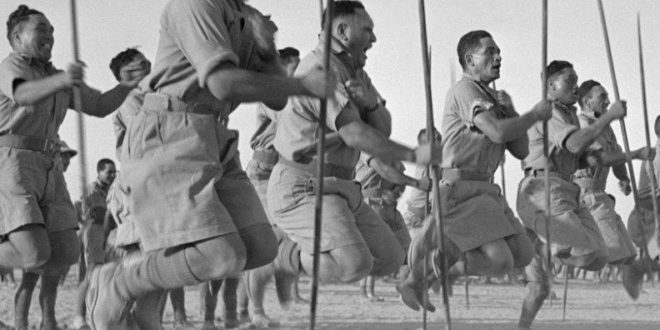 Twenty-five years later when the call came out for Maori volunteers to fight in World War Two, Maori were quick to respond. Even those tribes who had previously declined relented, and many of their menfolk enlisted. A Maori Battalion was formed, which was divided into four rifle companies (A, B, C and D; organised on tribal lines) and a headquarters company. About 3,600 men served in the battalion throughout World War II. The soldiers in B Company were recruited from the Central North Island (Taupo) and Bay of Plenty. The greater part of the book is taken up by very detailed accounts of the 28th B Company Maori Battalion’s campaigns in Greece, North Africa and Italy. 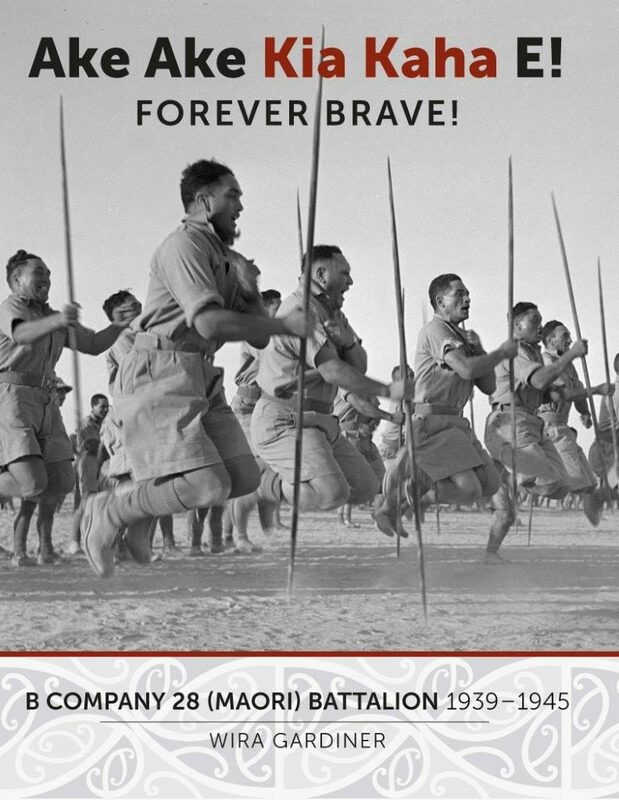 By including eyewitness accounts, personal recollections, anecdotes and a great many photographs, Wira Gardiner has brought their exploits to life and captured the special spirit of the Maori Battalion. “No infantry had a more distinguished record, or saw more fighting, or, alas, had such heavy casualties, as the Maori Battalion,” said Major-General Bernard Freyberg. I found it a harrowing read, as interspersed with tales of bravery and heroism, the number of soldiers who were injured or killed kept rising. Back in New Zealand as news arrived of these casualties, some communities held almost continuous tangis to mourn their dead. Local communities raised money and prepared food parcels to support the soldiers. To supplement these, tribes sometimes worked together to send large consignments of local delicacies to the troops. The Arowhenua Maori Runanga, Temuka, caught, prepared, cooked and cured 2,000 sundried eels which arrived in good condition, and were no doubt eagerly consumed. When the survivors of B Company finally arrived back in New Zealand, they had been through so much together that exceptionally strong bonds of comradeship had been formed. So strong that some of the soldiers were reluctant to board the trains that would take them home, and instead sat for some time on the railway lines. War histories are usually about the war itself and not its aftermath. But Wira Gardiner was intent on looking at it from a wider social and cultural context and to find out what happened to the Maori veterans after they arrived home. He was pleasantly surprised to discover that compared to World War One Maori veterans got a much better and fairer deal from the government as regards land access and trade training. This was a positive indication of how far New Zealand had come in race relations. Sadly many of their relations never made it home from the battlefield, and those who did felt unable to share their war stories with their families. So for their iwi, this book will be a great treasure. And it will also be valued by those who are interested in war history, as little has been written about Maori participation in World War Two, so it fills an important gap.